Although once widespread in Asia and Africa, cheetah populations are now isolated to the savannahs and grasslands of sub-Saharan Africa. 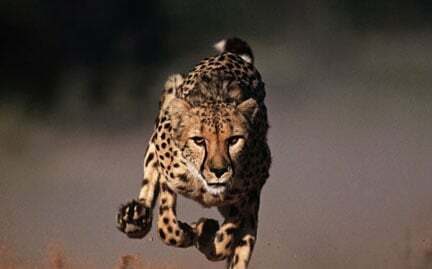 Cheetahs are the world’s fastest land animals and are capable of sprinting at speeds up to 70 miles per hour. Cheetahs are threatened by hunting, habitat loss and the decline of prey populations.